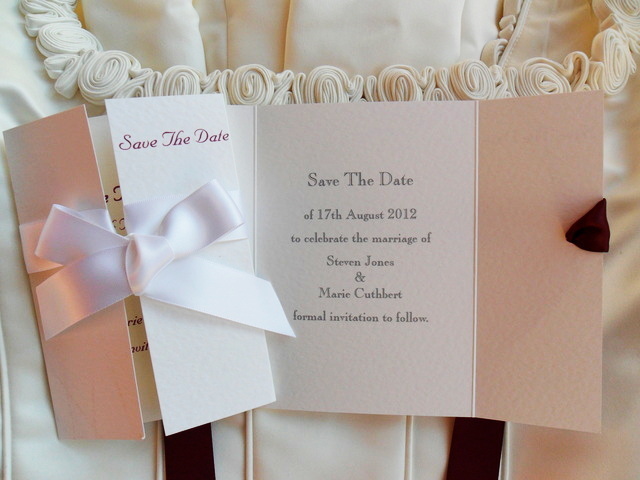 Gatefold Save The Date Cards are printed on a top quality thick heavy weight (270gsm) hammered card and are available in white or ivory. The cards are A6 when folded, opening out to A5. 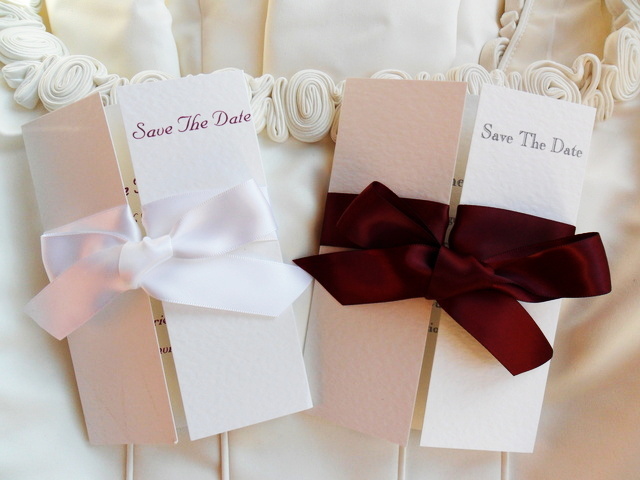 We offer affordable Save The Date Cards for weddings or any other special occasion. Select card colour, font choice and ribbon colour. Mix and match different fonts/colours to get the look you’d like. 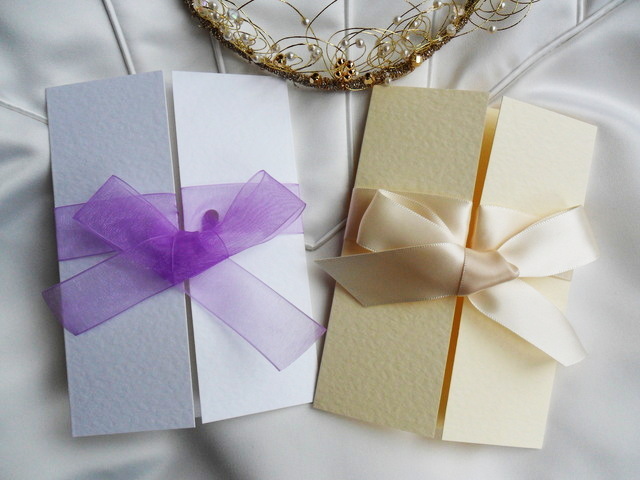 We stock a huge range of ribbon colours in both satin and organza to match a colour scheme. 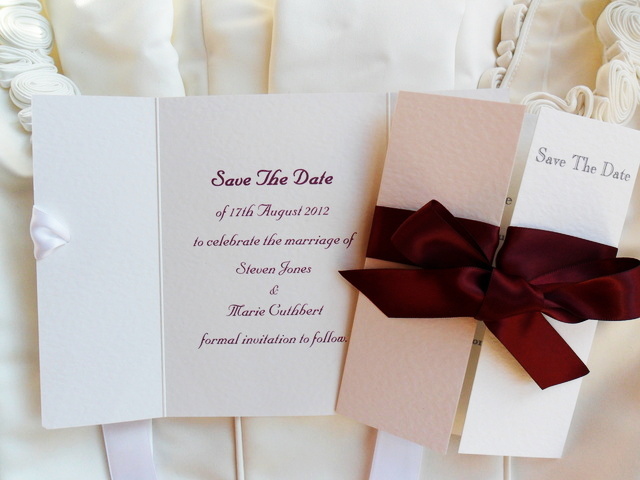 Price includes all personalised printing and matching hammered envelope.